For the discerning watch enthusiast, the beauty of a timepiece lies in the intricacy of its internal craftsmanship. For generations, watchmakers have been revered for their know-how in timepieces and the incredible detail that goes into it. This knowledge would soon transcend watchmaking and find itself in a completely different industry altogether: eyewear. This is Von Arkel’s story. Established in 2012, Von Arkel’s headquarters is located in a region of Switzerland renowned for its watchmaking expertise. However, it is also just an hour’s drive away from the birthplace of the esteemed French eyewear industry, Jura. Perhaps it was no mere coincidence that the people behind Von Arkel decided to bring these two together: Swiss watchmaking expertise and French elegance. 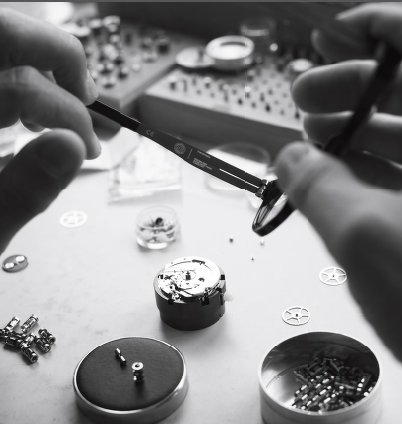 Von Arkel uses watchmaking expertise in their eyewear. 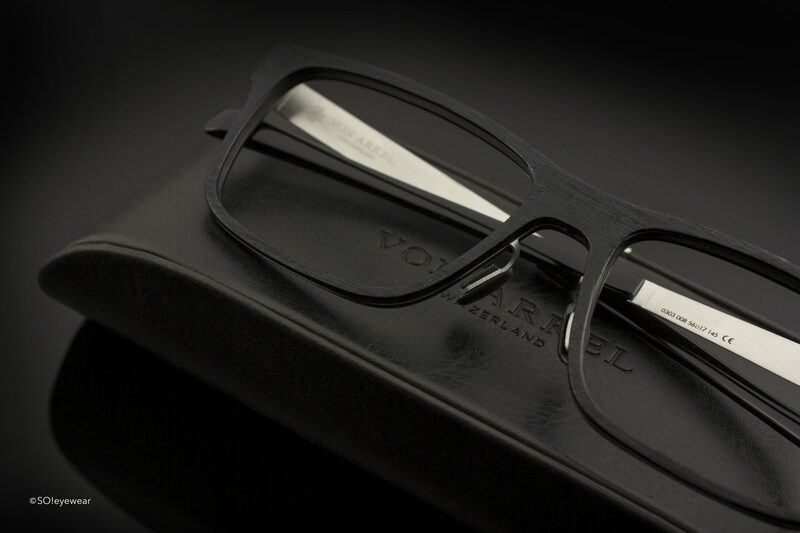 Von Arkel started their eyewear brand strong with the filing of a patent for what would be the most identifiable component of their glasses — the Caliber 8, an innovative hinge. 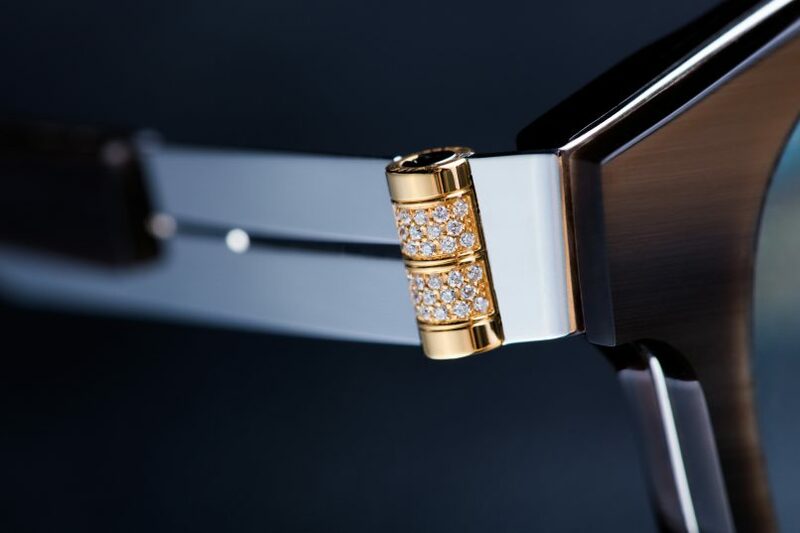 This hinge was in fact, inspired by the intricacies of haute horlogerie. Often overlooked for the overall design of the rest of the frames, the hinge plays a small but important role in the function of your glasses. Ask yourself: how often has the hinge of your eyewear pinched your skin, gotten caught in your hair, or rendered your glasses completely unusable because a stray screw fell out? Take a closer look at the Caliber hinge and you’ll see that it’s no ordinary hinge you find on any average pair of glasses. They’re exclusively made from 316L grade steel and have no screws, rivets, soldering, or setting. Inspired by watch movements, the original Caliber 9 hinge consists of only two components: the barrel and the axis. This allows the lenses and temples to be fixed simultaneously thanks to a double lock mechanism where the axis lock the clamping of the lenses and the temples lock the whole system together. 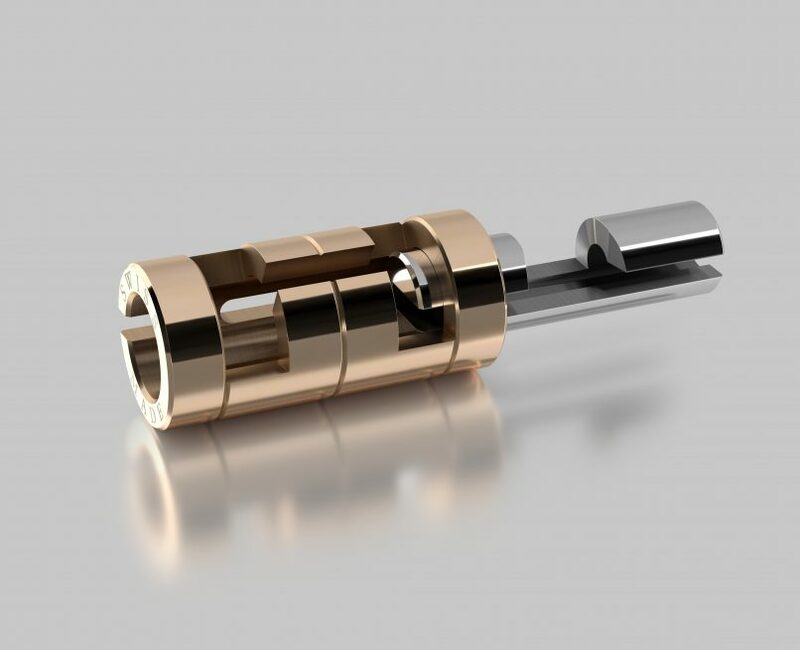 The Caliber hinge is inspired by watch movements and uses no screws, rivets, or soldering. The innovation of these hinges reduce temple friction and lens block, has zero risk of pinching the skin, and is a frame-independent hinge. The best part of these hinges? They’re customisable. Pick from several different finishings such as stainless steel and 23.5-carat gold. Then, adorn your Caliber 9 hinges with precious stones including diamonds, rubies, and black diamonds. The beauty of customisation lies in the subtlety that only you know of. That, and the person who’s lucky to come close enough to you. Not content with just the creation of the Caliber 9, Von Arkel later went on to file two more patents for their hinges: the Caliber 6 Oyster and the Caliber 8 “Plug & Play”. Each are technological innovations on their own, featuring the same screwless fluidity of its predecessor, moving with no friction, and virtually wear-free. One final and equally important watchmaking feature that Von Arkel has adopted into their eyewear is the use of Physical Vapour Deposition (PVD) in the treatment finish of the Colour Tradition series. Widely used in the world of horlogerie to achieve unalterable aesthetics, the usage of PVD in Von Arkel eyewear pieces guarantees an accurate rendering or deep colours and longwear reliability. Adorn your Caliber hinge with your favourite precious stones for a touch of subtle luxury. Intrigued already? You too, can experience the savoir-faire of the Von Arkel Caliber eyewear pieces. See them for yourselves at Focus Point outlets in 1 Utama, KLCC, Nu Sentral, Melawati Mall, Alamanda Putrajaya, Mid Valley, and Opulence 1 Utama. They are also available at Better Vision outlets in 1 Utama, Subang Parade, The Gardens, and Pavilion KL.